Thailand retail shops will not distribute plastic bags on 15th of every month. The country considers this as the first small step towards achieving plastic-free nation. BEIJING : As part of its efforts to become a plastic-free nation, Thailand has introduced moratorium on use of single-use plastic bags. According to the agreement between the government authorities and retail traders, 15th of every month will be observed as no-plastic day. On that day, supermarkets, convenience stores and large malls will not provide users with plastic bags. According to the Natural Resources and Environment Ministry, customers are required to bring their own reusable bags to shop on this day. It noted that the one-day moratorium must be considered as the first small step towards implementing complete ban on use of plastic bags. Nearly 15 major retailers have signed up for the no-plastic campaign. The first trial held on August 15th saw mixed reactions from shoppers, the Ministry noted. It urged residents to support the campaign in the government’s efforts towards long-term sustainable management of waste in the country. Some retail chains have been trying to contain use of plastic bags by launching their own campaigns. 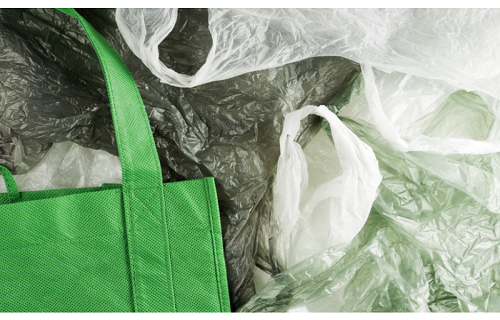 For instance, Central Group has reported sharp drop in plastic bag usage during 2014. The Central shoppers used 1.8 million fewer bags in 2014, when compared with the year before. Also, Tesco Lotus had launched a pilot project at its Nawamin branch, by banning use of plastic bags. However, the campaign is expected to create any huge impact only with participation by majority store chains in the country. Incidentally, the country produces approximately 2.7 million tonnes of Styrofoam and plastic waste per annum. The Ministry of Natural Resources and Environment noted that the country could save 24.46 million bags of plastic litter if every Thai shopper used one less bag per day.